Let me start by saying … I hate you all. Not to get into the specifics of it, but your lowly blogger lives in North Carolina and traveling to Wisconsin for a weekend music festival wasn’t in the cards. That being said, someone has to stay behind and disseminate all the greatness to the masses on the web, right? Now that I’ve gotten that out of the way … woah! Clearly September 3rd and 4th, 2011 are two days that will never be forgotten by Pearl Jam fans. Just before the first of the year, Kelly Curtis came on Pearl Jam Radio and hinted that Pearl Jam was setting up a party ("not a festival") to celebrate their 20th birthday. That party ended up being a whole lot like a festival which included old and new friends Star Anna and the Laughing Dogs, The Young Evils, Jason Lytle, David Garza, Josepth Arthur, Liam Finn, THENEWNO2, John Doe, Mudhoney, Queens of the Stone Age, and The Strokes. In fact, it was more than a festival, it was musical celebration of Pearl Jam's friends and influences spanning the breadth of their career. First, fans were greeted with a gift bag including the first official release from the “Vault,” and a single from the “upcoming” Jeff Ament LP. Then they were ushered into their own special reserved space where you could hang out, relax, and meet other Ten Club members from around the world. 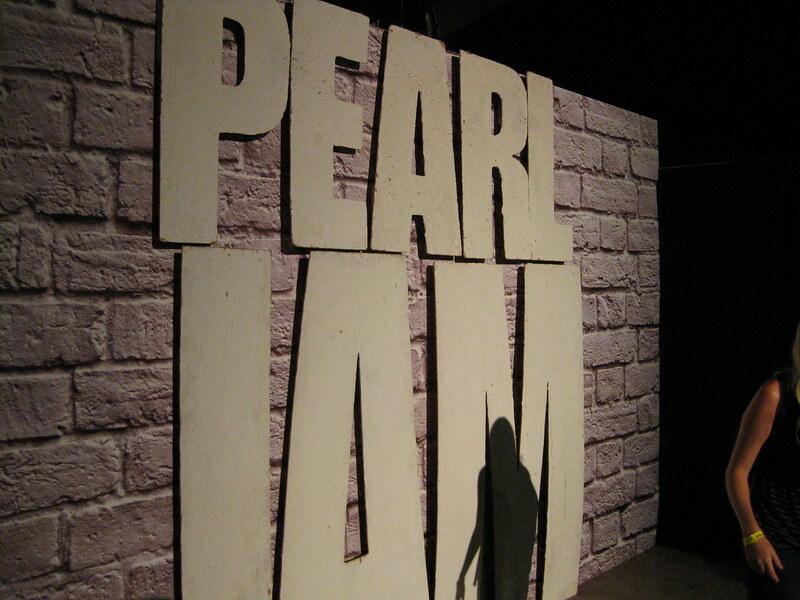 When listening to great music got to be too much, you could always stroll on over to the Pearl Jam Museum, a staggering collection of memorabilia with everything from Ed’s 4-track mixer and lyric notebooks to the Devo costumes that the band wore performing “Whip It” on Halloween night 2009. And then the shows! Pearl Jam performed both nights of the festival. The first night was a rarity-laced collection of songs including gems like Push Me, Pull Me, Help Help, and the live debuts of In the Moonlight and Setting Forth. The second night was heavier with Pearl Jam’s hits: The Fixer, Even Flow, and Elderly Woman. Both nights were studded with guest appearances by other performers, but the coup de grâce was a Mother Love Bone tribute on Stardog Champion and a two-night reunion of Temple of the Dog. Chris Cornell took the stage to perform Reach Down, Hunger Strike, Call Me a Dog, and Say Hello 2 Heaven. Exhausted fans crawling to the airport on Monday morning declared Pearl Jam Destination Weekend the greatest shows ever, rivaling the 2006 stand at the Gorge and the 2009 series at the Spectrum. Which reminds me … where’s my boxed set? Maybe in 2012!